Do you ever find yourself in a group of smart, lively talkers, stimulated to speak, but not willing to wrestle for the floor? You are content to listen because your complex and rich internal process is busy making connections and formulating new ideas. This is sustaining you while you listen intently to the others - some of whom are saying what you may have said anyway! Perhaps you, like me, are an introvert. I recently read a book by Devora Zack called "Networking For People Who Hate Networking" that presents some interesting ways that introverts and extroverts can be different. One idea Devora expresses that has been most enlightening for me is "extroverts talk to think and introverts think to talk." The book provided me with new insights about myself, people like me, and people not like me. 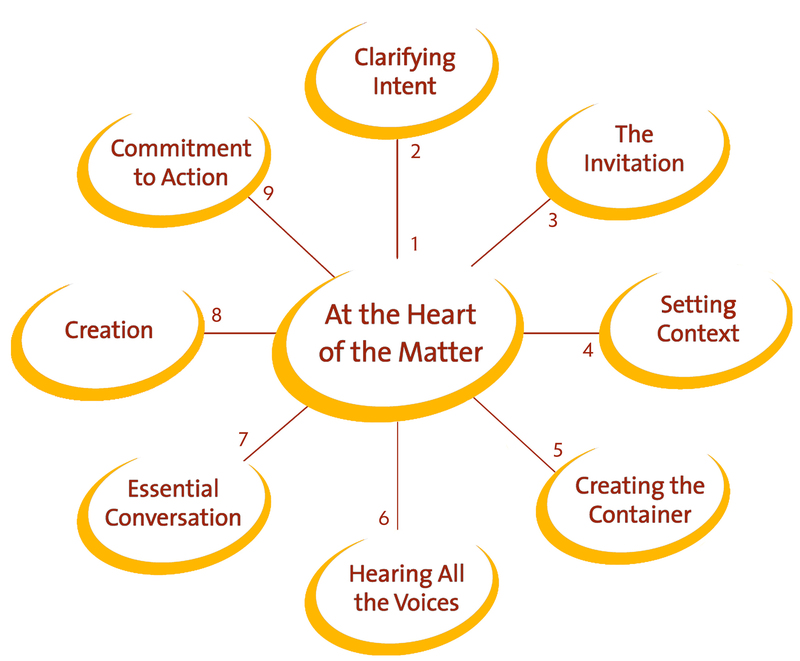 So, how does that relate to The Art of Convening? There is a story in The Art of Convening book called The Introvert, Extrovert Dilemma. In the story, the convener, Pam, notices when some are dominating the conversation in the meeting she is leading and some are not speaking. She pauses the conversation and then asks for the opinion of each person on the topic at hand - one at a time. This practice creates a space for each voice to be heard and for the introverts to express themselves without having to interrupt someone else or be interrupted. Then Pam resumes the open conversation with everyone. When a convener does this and the conversation continues, the discussion is informed by everyone and may proceed differently. The introverts often have something essential to say that will bring a better outcome to the meeting - whether they think it is essential or not. I think of myself as an introvert with "social impulses" and don't experience my preferences as a handicap, but I have to admit I like a structured way to express my thoughts. The story reminded me of the great value The Art of Convening can provide in groups where introverts and extroverts are co-mingling. Do you have stories of introvert/extrovert gathering experiences? Are you an extrovert? An introvert? Somewhere in the middle (I think most of us have characteristics of both)? How do you handle the "introvert, extrovert dilemma?"